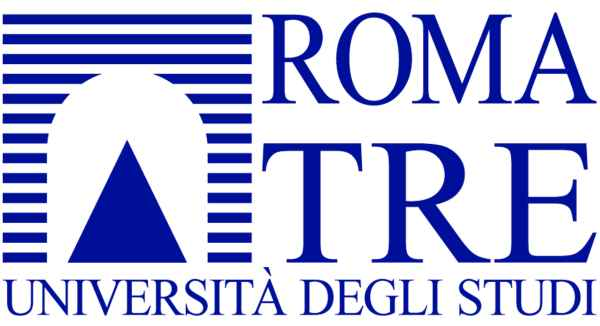 Roma Tre is one of the leading new universities in Italy, as ranked in the Times Higher education “Best Young Universities in the World 2018”. Its Department of political science hosts a thriving interdisciplinary Ph.D. Program in politics and it is the hub of a large academic network in Cold War studies which over the years had produced a significant number of collective edited volumes and specials issues of scholarly journals. The Department has established effective connections and built joint projects with other international research programs focusing on the same historical period in international relations. Since 2010, Roma Tre and the Woodrow Wilson Center for International Scholars have been co-directing the Nuclear Proliferation International History Project (NPIHP), a global network of individuals and institutions engaged in the study of international nuclear history through archival documents, oral history interviews and other sources. Acknowledging that today’s toughest nuclear challenges have deep roots in the past, NPIHP is trying to work towards an integrated international history of nuclear proliferation to promote a robust scholarship and effective policy decisions. Within NPIHP, Roma Tre’s main task -among many others – has been to set up the 8 previous editions of the Nuclear Boot Camp under the direction of NPIHP Main Investigator Dr. Leopoldo Nuti. Lodovica Clavarino (post-doc fellow and Adjunct Professor, Roma Tre University). leopoldo.nuti@uniroma3.it Leopoldo Nuti is Professor of History of International Relations at Roma Tre University, co-Director of the Nuclear Proliferation International History Project (NPIHP) and Director of CIMA, an Italian Inter-university Center for Cold War Studies. He has published extensively in Italian, English and French on US-Italian relations and Italian foreign and security policy. His latest book is a history of nuclear weapons in Italy during the Cold War, La sfida nucleare. La politica estera italiana e le armi nucleari, 1945-1991. Within NPIHP, Leopoldo Nuti has just co-edited with Prof. David Holloway (Stanford U.) a special issue of The International History Review on Aspects of the global nuclear order in the 1970s. mgala@uniroma3.it Marilena Gala is associate professor of History of International Relations at the Department of Political Sciences at the University of Rome III, where she teaches two Master courses: one on nuclear power in the international system and another one on the evolving security in the post-1945 world. She is a specialist in transatlantic relations and arms control. She has been Public Policy Scholar at the Woodrow Wilson International Center, in 2003, and again, with a six months Fulbright Foreign Scholarship, in 2010. She was guest lecturer at the University of California at Irvine in October 2011, and is one of the instructors at the Nuclear Boot Camp – a summer school created within the Non-Proliferation International History Project funded by the Carnegie Foundation. Lodovica.clavarino@uniroma3.it Lodovica Clavarino is Adjunct Professor at Roma Tre University, where – since 2015 – she teaches History of International Contemporary Politics at MA students. Currently (from October to December 2018) she is the recipient of a 3-month post-Doc scholarship from the DHI-Deutsches Historisches Institut, Roma. In 2013 she earned her Ph.D. in International History at Roma Tre University, with the thesis: “The security policy of the Federal Republic of Germany during the détente, 1967-1975”. In 2011 she attended the first edition of the Nuclear History Boot Camp as a student and then – since 2012- she has worked for the NPIHP (Nuclear Proliferation International History Project) at the organization of the course. She has published Scienza e politica nell’era nucleare: la scelta pacifista di Edoardo Amaldi (2014) and a book from her Phd is forthcoming in 2019. Italian and West German history. giordana.pulcini@uniroma3.it Giordana Pulcini is Post-doc research fellow at the University of Roma Tre, where she teaches History of Transatlantic Relations. She received her Ph.D. in Political Science and International Relations in 2008. Her topics of research are Nuclear History, the evolution of US nuclear strategic policy during the Cold War and US non-proliferation policy. Her most recent publications include her new book on the failure of Strategic Arms Control at the end of détente (2018), and an article on the evolution of US Strategic Policy in the 1970s (published in 2018 on The International History Review). renato.moro@uniroma3.it Renato Moro is Full Professor of Contemporary History and Vice-Director of the Ph.D. School in Political Sciences at Roma Tre University. He is President of CIVITAS – Forum of Archives and Research on Christian Democracy and President of the National Edition of Aldo Moro’s Works, Ministero dei Beni e delle Attività culturali. He is co-editor of the historical journal Mondo contemporaneo and member of the Advisory Boards of Hispania, Historia y Politica, Modernism/Modernismo, the Centre for Peace History in the History Department of the University of Sheffield, the Rome Museum of the Shoah. He has published intensively on politics and religion in the 20th Century (Fascism, Nationalism, Racism, Anti-Semitism, Pacifism). nicpetrelli@gmail.com Niccolò Petrelli is Adjunct Professor of Strategic Studies at the Department of Political Science – Roma Tre University. He was previously lecturer in Politics at the University of Leeds, postdoctoral fellow at Stanford University’s Center for International Security and Cooperation (CISAC), research fellow at the Military Center for Strategic Studies (Ce.Mi.S.S.) within the Center for Advanced Defense Studies (CASD) in Roma and visiting scholar at the International Institute for Counter-Terrorism (ICT) in Herzliya. Niccolò received his Ph.D in Political Science from Roma Tre University in 2013. His works have been published, among others, in the Journal of Strategic Studies and Small Wars & Insurgencies and the International History Review. Senior Researcher Laura Fasanaro is Senior Researcher in History of International Relations at the University Roma Tre (Italy), Department of Political Science, and Lecturer in History of European integration at the same Department. Her current research project is European politics and the Energy-Environment-Agriculture nexus through the Cold War and beyond – German and Italian perspectives, 1970s-1990s (Guest Fellow at the Berliner Kolleg Kalter Krieg, Berlin, Oct.-Dec. 2017). She is a member of the HistCom 3 project/network: History of the European Commission, 1986-2000 (project coordinator, Université Catholique de Louvain); the Machiavelli Center for Cold War Studies (CIMA); the Research Network for historical research on Aldo Moro at the Accademia di Studi Storici Aldo Moro; the Italian Society for International History (SISI) and the editorial staff of the history journal “Mondo contemporaneo”. She is the author of the books: La DDR e l’Italia. Politica, Commercio e ideologia nell’Europa del cambiamento (1973-1985), Roma, Carocci, 2016; Energia contesa, energia condivisa. La Francia, il problema tedesco e la questione carbonifera nei due dopoguerra, Firenze, Polistampa, 2008. She has written also a number of essays, like: Romano Prodi (1999-2004): so much to do at such a critical time, with Leopoldo Nuti, in J. van der Harst, G. Voerman (eds), An Impossible Job? –The Presidents of the European Commission, 1958-2014, London, John Harper Publishing, 2015; Aldo Moro e la questione tedesca negli anni della distensione internazionale, 1963-1972, ed. by Accademia di Studi storici Aldo Moro, Soveria Mannelli, Rubbettino, 2014; Neither in One Bloc, Nor in the Other: Berlinguer’s Vision of the End of the Cold War, in F. Bozo et al. (eds), Visions of the End of the Cold War in Europe (1945-1990), New York, Berghahn Books, 2012; The Eurocommunism Years: Italy’s Political Puzzle and the Limits of the Atlantic Alliance, in G. S. Smith, V. Aubourg (eds), Atlantic, Euratlantic or Europe-America?, Paris, Soleb, 2011; Eurocommunism. An East-German perspective, in L. Nuti (ed), The crisis of Détente in Europe. From Vietnam to Gorbachev, 1975-1985, London, Routledge, 2009. Tel: 06 49693360 Matteo Gerlini is a guest lecturer in history and policy of science and research at La Sapienza University of Rome. He is a member of the Independent Scientific Evaluation Group of NATO Science for Peace and Security Program. He is a scholar of Diplomatic History, with a keen interest in the history of technology. His research interests shifted toward integration of languages between sciences and humanities in an historical perspective. Since 2007 he has worked as a journalist on a local on-line newspaper. He is a journalist in compliance with the Italian laws, code number 122094. Tel: 06 49693360 Giovanni Mario Ceci (PhD) teaches History of Contemporary Europe at Università degli Studi Roma Tre and Terrorism: an Introduction at IES-Rome. He is member of the editorial staff of the journal «Mondo Contemporaneo. Rivista di Storia». His researches and publications mainly focus on Italian politics during the Cold War; Terrorism; Fascism; the Italian anti-nuclear movement; Italians’ attitudes towards peace and war from the ‘80s up to the Iraq War. He is the author of several books and articles, including Renzo De Felice storico della politica (Rubbettino, 2008); Moro e il PCI. La strategia dell’attenzione e il dibattito politico italiano, 1967-1969 (Carocci, 2013); Il terrorismo italiano. Storia di un dibattito (Carocci, 2013). lciglioni@fondazioneies.it Laura Ciglioni, Ph.D., teaches Cold War Europe: a History at IES Abroad (Rome) and is member of the editorial staff of the journal Mondo contemporaneo. Her research interests and her publications focus on nuclear issues and Western public opinion during the Cold War, cultural representations of Italy in American culture, and Italian politics after World War II. She has recently co-edited the republishing of Guglielmo Ferrero’s Grandezza e decadenza di Roma (Castelvecchi, 2016). She is currently working on a book dealing with representations of the atom and public attitudes towards nuclear issues in Italy, France, and the United States during the 1960s.